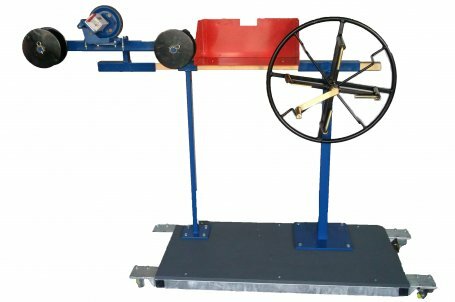 Our Short Coil & Measure Line assists with the decoiling of mother drum. The measure head and guide roller assist with decoiling to specific lengths of cable, rope or hose. The measure head can handle 5mm to 30mm dia cable or tube and has a mechanical reset to zero. It is based on a four wheel trolley pallet which allows easy movement in warehouses. 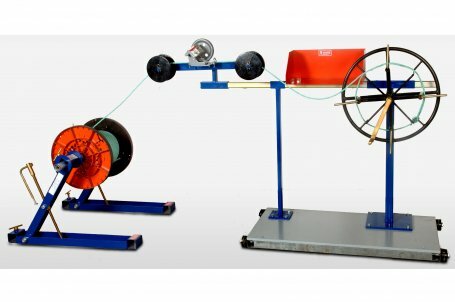 It has spool attachment for single spool of cable, rope or hose.